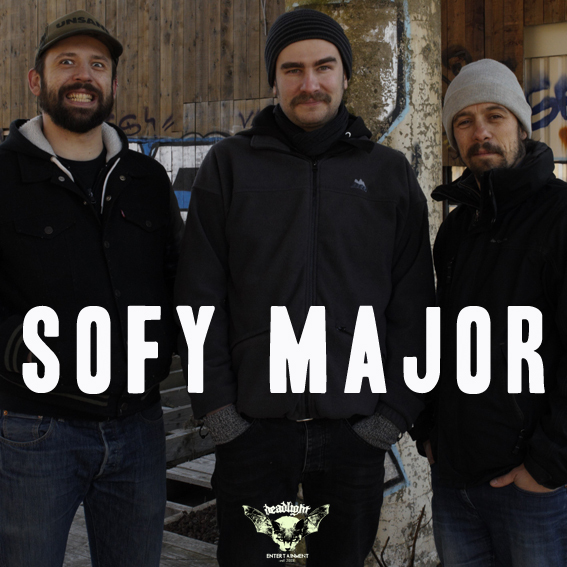 We're proud to announce the signing of french noise rock act SOFY MAJOR. Far from being newcomers, SOFY MAJOR released 3 albums (Permission to Engage - 2010, Idolize - 2013, Waste - 2015) and several EP and splits, toured Europe and USA with famous acts like UNSANE, PIGS , Baroness and played at Hellfest Open Air Festival, Metal Cultures Festival etc. "When I first listened to their album, I had the impression to listen some of the 90's finest sounds" says Deadlight manager Alexandre Martinez. "We're proud to join Deadlight which roster is only made of top notch bands" says SOFY MAJOR. "Total Dump" will be released on CD & digital in early 2019. Deadlight Entertainment is an independant record label based in the city of Foix, France created during the spring of 2008 with the will to release quality albums. Since then and with more than 50 releases, we have covered a lot of different artists (from France, USA, Sweden, Brazil etc.) and styles of metal and even rock. Sign up to receive our newsletter, sent just a few times a year. We'll let you know about new releases, and keep you up to date with the doings of our composers and performers. © 2019 Deadlight Entertainment. All Rights Reserved. Design by Yann Novak adjusted by Guillaume Poryadjian.